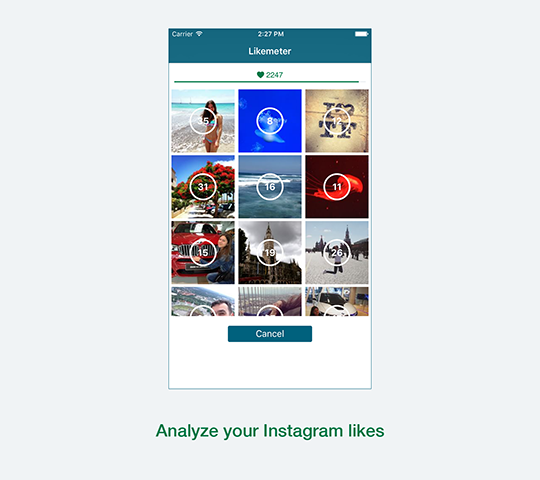 Analyze your Instagram likes with Likemeter social app. 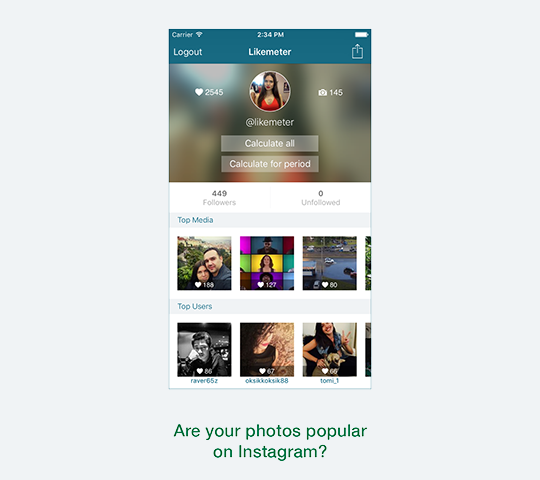 Find out which of your photos are the most popular. Watch your progress and improve your social media marketing strategies. 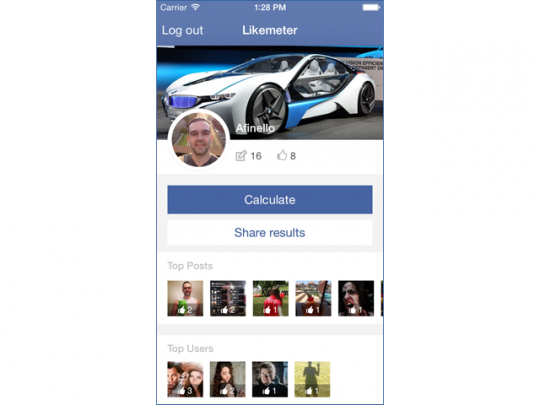 Calculate your best nine posts for specified period of time. 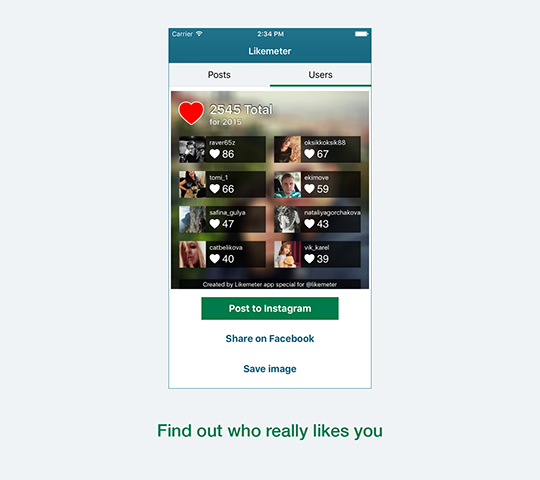 Become top user to get more likes and followers. 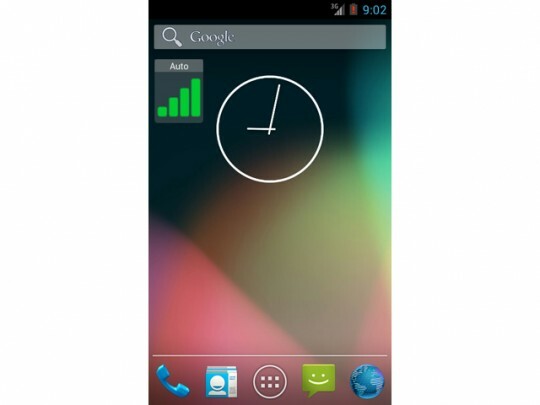 Categories: Free Apps, Mobile Apps. 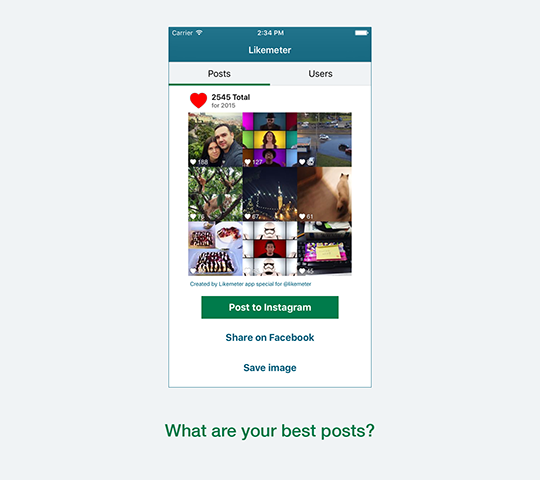 Tags: bestnine, free, instagram, like, likemeter, social, stats.